Um yeah, so it’s not the most productive thing to do with an afternoon, but it’s way more fun than cleaning. For this look you need black liquid eyeliner, black and white (frosted) eyeshadow, a good angled brush, and a steady hand. 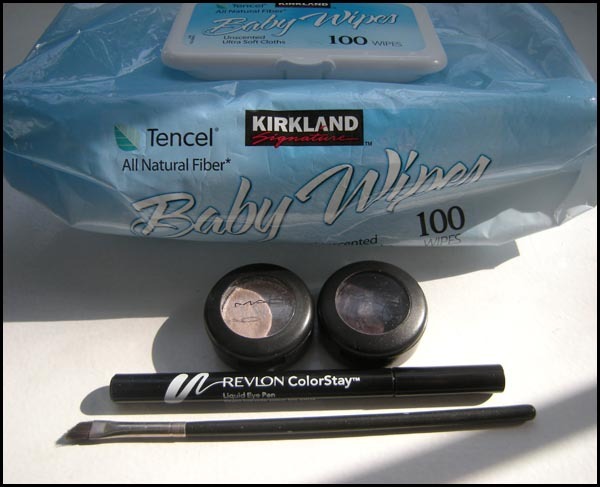 It doesn’t hurt to have a few baby wipes or makeup removing pads in close reach either—they help you get a smooth line and are the best thing for fixing mistakes (buy them in bulk at Costco!). 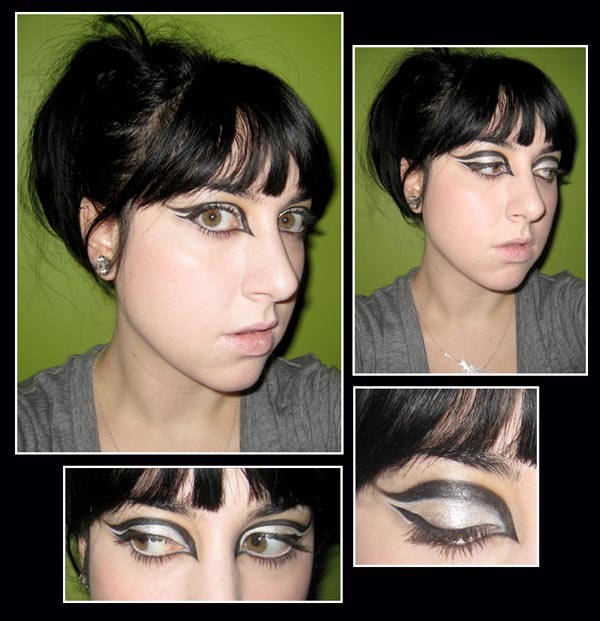 The ’60s were a great time for makeup, and even though I didn’t have false eyelashes on hand, I was definitely drawing inspiration from Peggy Moffitt for this look. If you’re not familiar with the model and muse, she was famous for her “five-point” haircut given to her by Vidal Sassoon as well as her kabuki-like makeup which became iconic of ’60s style. 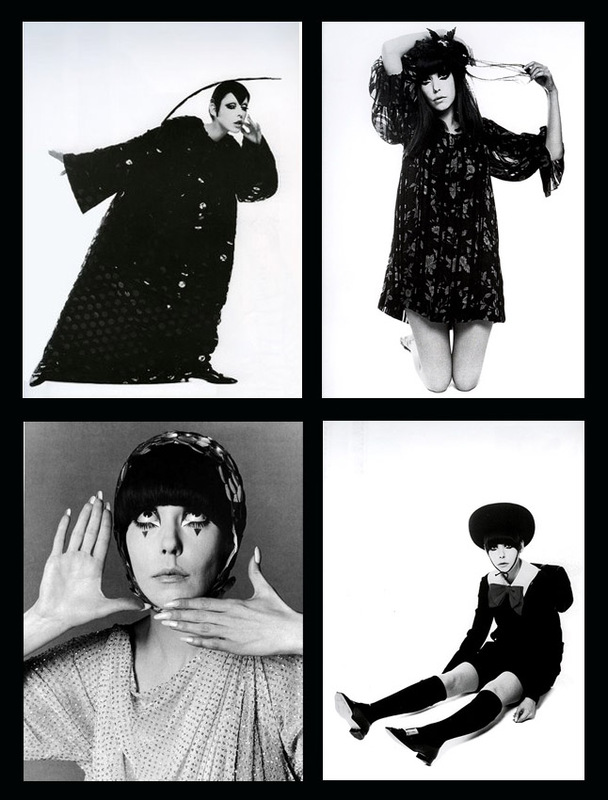 She often worked with photographers William Claxton and Rudi Gernreich, here are some pictures of her from the ’60s. Pretty cute right? Definitely a fashion and makeup inspiration! Ah!! That makeup is amazing – definitely need the mod false eyelashes though. And a little tent dress and knee socks.